Hearing word that a family member was diagnosed with a severe illness like mesothelioma is devastating. It can be especially difficult when you’re many miles away and feel there’s little you can do to help. When my father, Richard Lloyd Barker, was diagnosed with mesothelioma in the fall of 1992, many members of his family lived more than two hours away from us. I can imagine how powerless they felt when they heard the news. Soon after his diagnosis, the doctor told my father to get his affairs in order. The prognosis wasn’t good. He only had about three to six months to live. Dad shared phone calls with long-distance family members. Those who were able to make the trip came to visit. We all rallied around him to support him in his battle. When our loved ones get sick, we want to be there to care for them. But just because we live far away, doesn’t mean their care isn’t a top priority. While it’s easy to give in to the frustration of being at a great distance, caregivers today can do so much — even from hundreds of miles away. My father was the eldest son of the six Barker children, and he was always close with his brothers and sisters. The Barker kids were relatively young when their parents died, and my father assumed the role of patriarch. It was his nature to nurture his family. When Dad got sick, his siblings were grief-stricken. By the time he was diagnosed with mesothelioma, life circumstances and long distances separated him from his siblings. The distance prevented them from participating in his care. Had things been different, I’m sure they all would have done more to take care of the one person who had always taken care of them. Today, technology is on the side of people affected by mesothelioma. Back in 1992, our family didn’t have cellphones. Video chat was mostly in sci-fi movies, and we did our research at the library using the card catalog. But now, we’re connected in ways my father never could have imagined. These days, being far away doesn’t mean you can’t help care for your loved one. You can research mesothelioma and the latest treatment options online from the comfort of your own home using your smartphone. Survivors can find support in online communities, and families can coordinate caregiving plans easily over the phone or video chat. I recently came across an excellent national resource for long-distance caregiving from the Family Caregiver Alliance (FCA) that can change the caregiver role for folks who are separated by great distances. Of course a family member who lives many miles away isn’t the best choice for primary caregiver. However, a long-distance family member can offer support and fulfill an important secondary caregiver role. According to the FCA, long-distance caregivers can provide valuable help by gathering information and coordinating services. When we encounter a tough diagnosis, it’s common for family members and close friends to bombard you with questions. Unfortunately, primary caregivers are often so busy with immediate health care needs that they struggle to find time to research and provide answers to loved ones. With a world of information at our fingertips, gathering information online is the perfect task for a long-distance caregiver. Keep in mind there’s a lot of information on the Internet, and it may be difficult to sort through it all to find accurate, reliable information. Look for quality sources from doctors, researchers, government sites and nonprofit organizations. Even simple tasks like banking and paying bills can be difficult for someone recently diagnosed with cancer. As long as you have time and energy to commit, there are plenty of services you can coordinate over great distances online or by phone. Once the family establishes what types of services are needed, long-distance caregivers can help sort through information and make the necessary arrangements. The FCA lists a number of ways long-distance caregivers can help. Some examples include coordinating doctor’s appointments, setting caregiving schedules and arranging for meals and cleaning services. 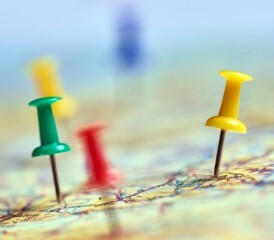 Long-distance caregivers can also schedule family meetings and keep other family members updated with the latest news. Helping out as a secondary caregiver isn’t as demanding as being a primary caregiver. However, long-distance caregivers can provide invaluable help. Regardless of your location, you can still give vital emotional support to your loved one with cancer and the entire caregiving team. If you can find time to visit, you can even offer take over some of the caregiving team’s duties to give them a much-needed break. It wasn’t easy for my mom to take on the role of primary caregiver for my father. She had support, but I’m sure she would have welcomed more help. If you have a loved one who was diagnosed with mesothelioma or another serious disease, don’t feel useless because you are far away. The gap created by distance can be easily overcome with technology and some planning.